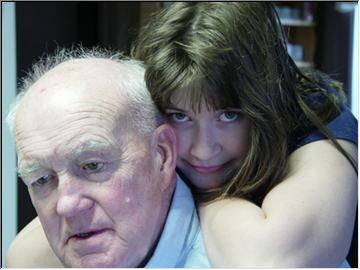 You may recall seeing Jack Stevens, snowmobile entrepreneur, on the Pasty Cam last fall with his granddaughter Liisa. Today's shoebox memory takes us back to when the old man was a little boy. What a difference about 70 years makes! Great submission from the Stevens/Beck Family and very nice contrast of the photographs. This contrast is very seldom done and should be done more......... Jack is a wonderful person. between these two. Hope all is well up north. as a bone! Send us some yooper coolness. Great pictures as always and notes too. Thanks Charlie and all from Pasty Central. I just returned to Minnesota after 5 beautiful days in the Copper Country, celebrating with Jack the Houghton High School "all class reunion" and with my class from 1975. 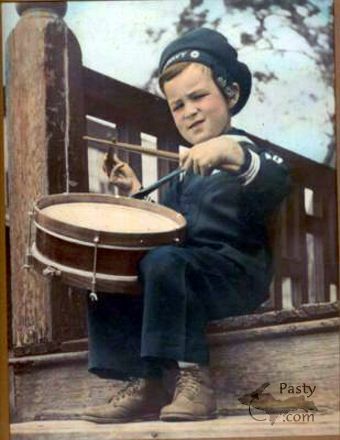 It was a joy to open pasty.com and see my Dad!! Thanks Connie from Colorado. Dad is also known to some as Mr. Ski-Doo. He had the dealership in Houghton and helped keep many snowmobilers on the trails that way and by working with easements too! Copies of "Lady Unafraid" can still be found in antique or used book shops, especially in the UP of Michigan. I remember Dr. Nelson so well as I mowed his lawn and did various chores for he and his wife during the summers of '51 thru '54. He owned a cottage adjacent to our farm home in Ironton, Michigan. He presented our family with an autographed copy of "Lady Unafraid" when it was published but I no longer know the whereabouts. I do have an unsigned copy, however. I'm looking for info on J. Raleigh Nelson. I'm trying to finish a practicum on a farm home site (located on Lohr Road, Ann Arbor, MI) he owned, after teaching at the University of Michigan. I have read "Sunny Pastures" but will get a hold of a copy of "Lady Unafraid". Most of the information I have about him was from the Sunny Pastures book.